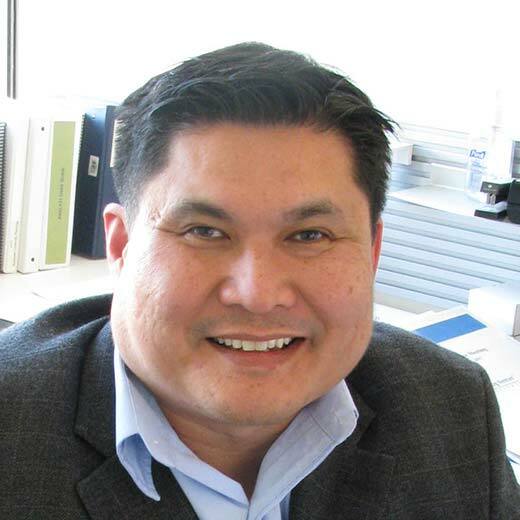 Tai Nguyen serves as VP of Finance/Chief Financial Officer and Treasurer at JCVI. He is responsible for the stewardship of the Institute’s financial resources and has oversight of all Finance and Accounting Operations. He has extensive experience at non-profit research Institutes, Fortune 100 & 500 Companies, and strategy consulting firms. He was previously the Chief Financial Officer and Senior Director of Business Systems Management at the La Jolla Institute for Allergy and Immunology. He has held senior management positions in the financial planning and analysis departments at Science Applications International Corporation and General Dynamics. He worked as a strategy consultant for Booz Allen Hamilton in the areas of Business Intelligence and Enterprise Performance Management. He was also at XM Satellite Radio prior to its business launch and until its millionth customer.